How I Increased My Pinterest Views by Over 100,000 in Less Than One Month after Boardbooster Closed Down! UPDATED: If you’re looking to get out of debt, save money and get your monthly finances in order, then you have to get the Work It Women monthly budget planner! This FREE monthly planner has been downloaded thousands of times and walks you step by step of creating a budget that’s realistic and helps you see exactly what you are spending your money on and how much you have left. Grab it while it’s still FREE here! Note that I’ve attached affiliate links here for your convenience. This means if you click on a link and purchase an item, I will receive a small commission at no cost to you. Click here for my full disclosure policy. Want to know the best secret? Blogging is easy. Don’t believe me? Last year, I wouldn’t have believed it either!! But now, I am growing my blog so quickly that I am my goal is earn full-time income in addition to my current job (! )…and in reality, my income continues to grow. This is crazy. Think of what you could do with double your income! Stop living paycheck to paycheck…you too can achieve this financial freedom in less than a year! You know what? Neither did I when I first started out. I was inspired by most favorite blog (makingsenseofcents.com) and started my journey towards financial freedom for less than a Starbucks trip per month. After hours of research and searching for the best blogging resources available, asking for help in Facebook groups where I needed it, and committing to consistently working on my blog for at least an extra ten to twenty hours each week and I was able to grow it into the most awesome career I’ve ever had. This is pretty awesome. I get PAID to write about and share ideas on a topic that I love, building work life balance for women. I now have a money making blog! …and YOU can learn how to do it too! Despite all of my own personal self doubt, within a year of starting my blog, I started to make some money. Now, coming up on one year later, it’s grown way beyond anything I thought possible. My income is growing and is almost at a match of my current income, I’m working on some new products to help women, my husband and I can pay of some debt from being laid off a few years ago and using our credit cards and finally I can pay off that large (very large) student loan. Once these financial goals are complete, we plan to work on using this extra income to be debt free. Can you imagine being debt free? It is a dream that I plan to make come true. And all by simply starting a blog and sharing my ideas with the world. I’m not saying all this so you’ll think I’m this perfect person who can manage not only my own job but also a full-time business. My point is that if I can do it, you can do it, too. It is not a big investment (less than the cost of a Starbucks latte monthly…and I love some Starbucks lattes). There is no required degrees and you don’t have to be a “tech person.” (I work in education admin by day—so clearly not techy). 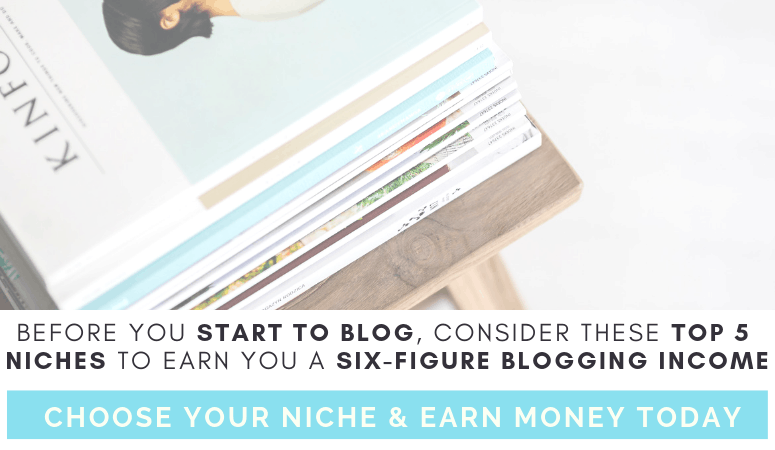 It’s so easy, you can literally learn how to start a successful blog right now. Today. And have the freedom to write about whatever you want. It might be possible that maybe you don’t want to make money off your blog or maybe you just want to do it as a hobby or to share with your family and friends. That’s totally fine. Blogging isn’t for everyone, I know. If you simply want to blog as a hobby, you can go to sites like Blogger and set up a perfectly great simple blog. Easy. In fact, it will pretty much walk you through the entire process. You don’t even need me! What do you want to write about? Do you want to help people? Is there a topic you feel passionate about or really love? Think of how you can help solve a problem or offer the reader some sort of value. Brainstorm as many ideas as you can. 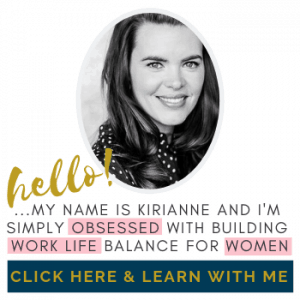 I love sharing advice and ideas on how to build work life balance for women in careers, family and relationships. These three focused categories give me all the material I need to keep on sharing my thoughts, so think hard on what you want to share because the more true it is to you, the easier it is to grow and make money! You have to find a focus for your blog. This will help guide your decisions when you’re deciding on a name for your blog. Also, you need to have a few website names in mind, as some might be taken when you enter them into the domain finder (basically the blog name creator), you have some options to choose from. Play with words relevant to your topic and use phrases that rhyme, plays on words, alliteration or any other cute tricks you can think of…but don’t make it too obscure. You want search engines and readers to understand from your blog title what you are about. Run your name by friends and family to get their opinions. Trust me: it’ll REALLY help you weed out any weird associations and names that won’t work. I saw one example the other day of a veterinarian that was starting her new blog all about living with dogs. She wanted to name it “A Girl That Sleeps With Dogs”…hmmm knowing her background made sense, but for the average reader on Google, it sounds a little creepy…we suggested that she changed it to “Dreaming with Dogs”…still the same concept, less of a creepy factor. My point is…get some input on a good website (blog) name! So, to make money blogging, you’ll need to be what’s called “self-hosted.” I cannot stress this enough!!! You have to buy your own domain (or website name). For example, mine is ‘workitwomen.com’ not ‘workitwomen.blogspot.com’. Do you see the immediate difference?? 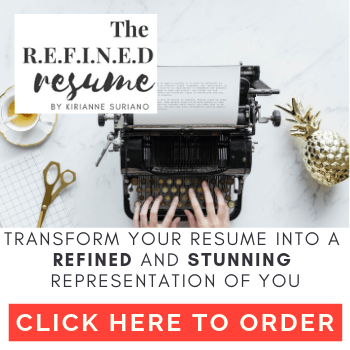 You must own your own domain…it will cost you about $15 a year, but it is all yours…and it will make you look super professional and ready to make some income! When you’re self-hosted, it means you own your own domain, but you do have to pay ‘rent’ to a server so your site can live somewhere safe and still be available to the world 24/7…this is where purchasing a monthly ‘rent’ for hosting from a site like Bluehost comes in. Don’t let this mini ‘rent payment’ scare you off! It’s just a certain way to set up your blog so you can make money off it. Otherwise, you’d be beholden to preset templates, rules, or other constraints of “canned” platforms like Blogger- where they can take your content and money AT ANY TIME FOR ANY REASON. To set up your own site name (or domain), you’ll be looking at around $15-20 to purchase and then a monthly fee for hosting. Bluehost offers hosting services starting at $3.95/month (an offer that I can give you if you sign up through my link). I prefer Bluehost because they’re super user-friendly and they offer great tech support…if you try to do it by yourself, you will end up paying upwards of $100s per month so just rent it out for a few bucks a month to get started. Next you’ll need to contact your host (get Bluehost) to get WordPress set up. This is as easy as flipping a switch on your Bluehost dashboard. If you ever need help with Bluehost, call them! They can walk you through anything or they can do it FOR you (assuming you host with Bluehost). Once those 2 steps are done, you officially have a blog! So let’s get to work on making it pretty! The next step is choosing a WordPress theme, designing your logo, and getting started. A WordPress theme is simply a template for the overall look of your blog (how your blog is organized to make it look pretty). It’s easy to get bogged down and even overwhelmed with themes, so if you’re just trying to get started, don’t stress out about getting it perfect. Go with something basic. Then, as you start making money, you can hand the graphic design and layout stuff (which takes time and skills that I don’t have) over to someone else or simply buy a paid theme and get it installed like I did! There are many basic themes available through WordPress for free or you can buy a theme for $30-$50. 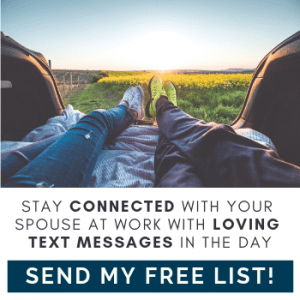 If you’re just getting started and you don’t have the money to spend, you can totally get by with a freebie theme and it will still look great! Like I said, don’t get bogged down with themes and fonts and designs. Just pick something simple with lots of space and clarity. 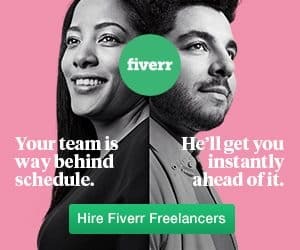 As soon as you start generating some ad revenue you can easily hire someone to do a redesign of your site for a few hundred dollars. For now, just go with something easy and as free as possible. The same concept goes for your logo. For now, just use a site like Canva to put together a simple logo. I love Canva…it is a free site that allows you to design all kinds of graphics for your blog. If this sounds like way over your head, then check out the site, Fiverr and outsource it for five bucks. Freebie WordPress Theme: Find a cute one on WordPress, I used Elegant Pink with Genesis Childs Theme. Now I use a super awesome paid them from Restored316 called Darling! Go to your WordPress Dashboard and start writing and publishing your content as a post! You can use sites like Pexels and Unsplash to find beautiful FREE stock photos to add to your posts and pages (unless you have photography skills, which I also do NOT). So now you have a blog. You’re up and running and posting. It’s time to figure out how to start making some money. When I started blogging, one of the best resources I found was from pro blogger Ruth Soukup. Ruth runs something called Elite Blog Academy. For me, EBA was a literal gamechanger. I followed each step Ruth laid out, did my homework, and worked my way toward blogging success. The newest version of the course has just been released and I am going back through it again to capture all the new information! Things can change quickly in one year! When I started EBA, I was making about $0/month from my blog (totally amazing right!). By the end of that first year, I am making close to a full-time income. It took me roughly a year of blogging at about 20 hours per week with a big focus on writing content and posts and I finally am seeing the results. Mind you, in between blogging, I work full-time in a very demanding job, I am married and have a 3-year-old son and have a few other side projects going on…so if your life is a little less crazy, it might take you even less time! But if now, then you can easily do it just like me. Once I started to see results, it got much easier because it was SUPER motivating! In fact, sometimes I couldn’t wait to see what I was going to be able to do next. (Still can’t, for that matter!) and I have soooo many great ideas for this year to help working women like you! There are a LOT of “learn to blog” programs and blogging training programs out there. There are blogging tutorials and people selling big programs with big promises for big bucks (over 1k!). But, I will tell you that Elite Blog Academy is one of the few programs I found that really made a HUGE difference and really taught me how to write quality content and build a community of readers true to me. If you are still not sure, Ruth has a book called How to Blog for Profit Without Selling Your Soul. Pick it up and read through it and you’ll quickly get a feel for her knowledge and style–I am obsessed with her! Blogging full-time with a full-time job isn’t an impossible dream. It’s hard, but you must have an end in mind and write about what you are passionate. My goal is to serve working women like yourself with the best ideas I can, pay of debt and live debt free in the future. You just need to learn how to start a successful blog. The only thing I did to ensure I’d be successful was stay consistent. I gave myself a time frame of a year and made sure that no matter what I made time for it. Until I was making over $1,000 per month, I put every penny earned from the blog right back into the blog…but I didn’t spend any more money up front, except for my hosting, domain, email service, and theme, so roughly $60. Using these steps, YOU can do it for even LESS. If I did it, you can do it too!! I know it! I’m so excited to be able to share this easy process with you because I know that if you follow it you can be just as successful. 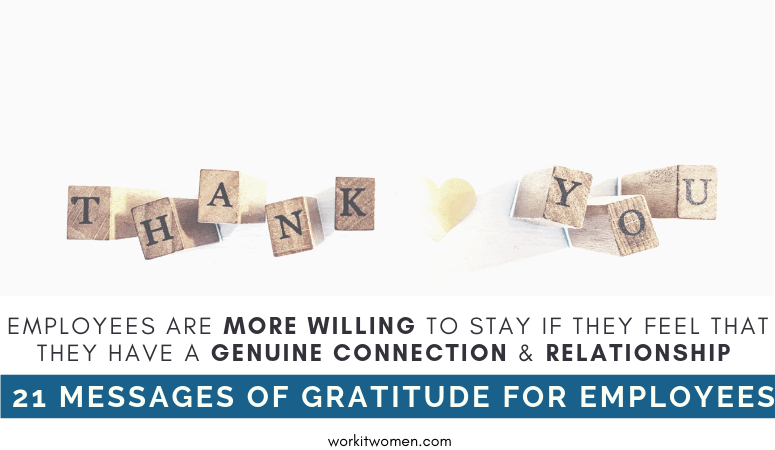 Sign up to get exclusive access to Work It Women's resource library and weekly email encouragement!